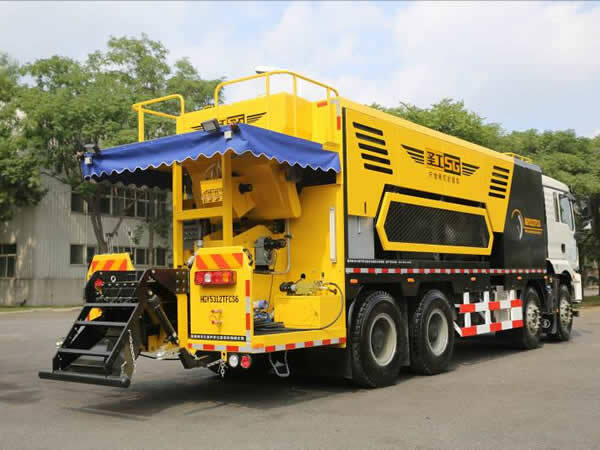 Gaoyuan is a road maintenance equipment manufacturer and this is one of our asphalt repair equipment. 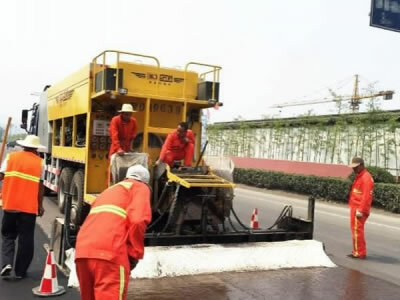 The micro surfacing paver HGY5319TFC is mainly used to handle the pavement problems, such as reduced friction, cracks, and rutting. 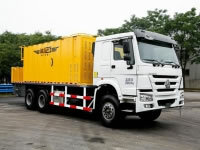 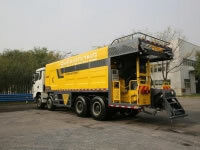 The paver uses HOWO chassis and adopts 310HP main engine, it has 12m³ aggregate bin and 4m³ asphalt emulsion tank. 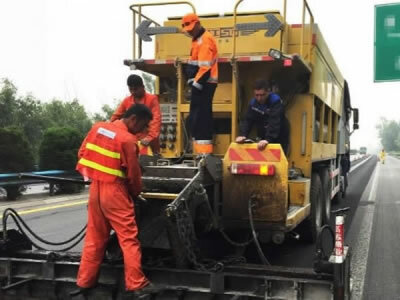 As a result, the micro surfacing paver is well for improving the friction and water resistance on the pavement, as well as increasing the pavement evenness. 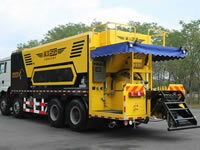 The micro surfacing paver HGY5254TFC adopts the engine from DCEC brand as the auxiliary engine. 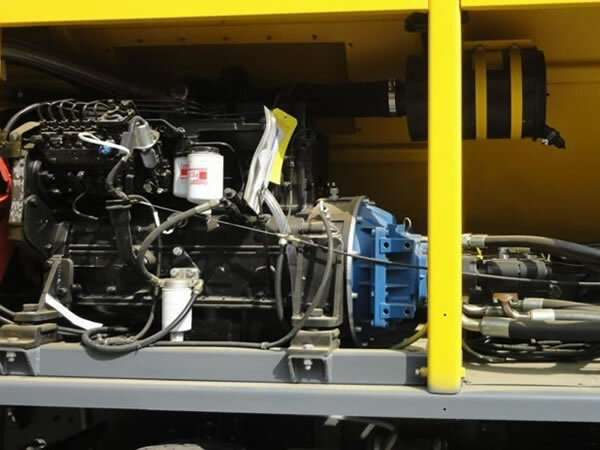 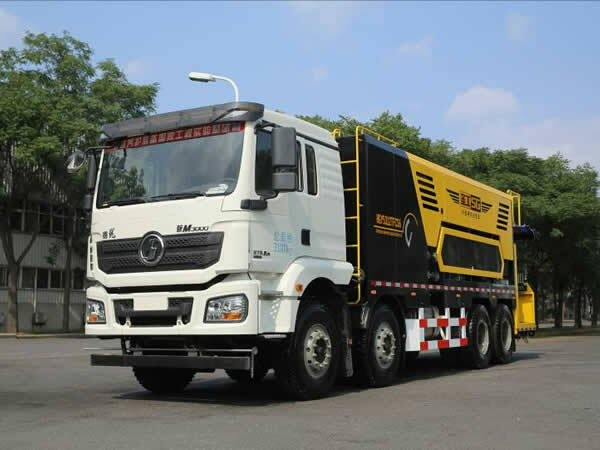 With strong power, this auxiliary engine is perfectly suitable for paving the modified asphalt in a quasi-demulsified state. 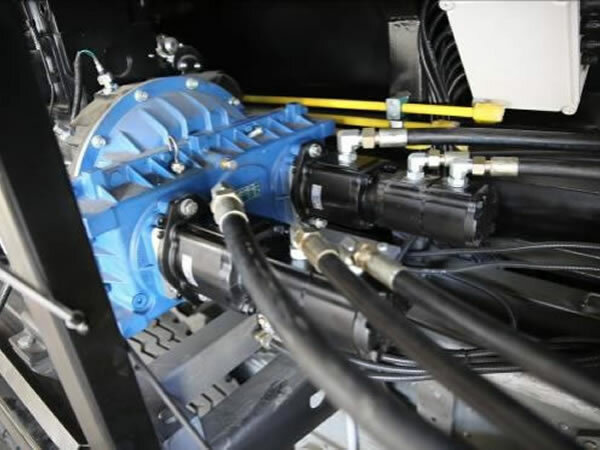 The whole work system adopts 6 sets of independent hydraulic power systems to provide stable and independent power. 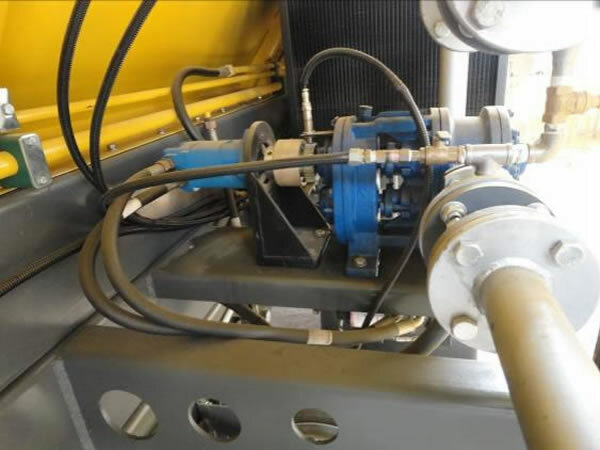 As a result, it is convenient and timely for troubleshooting and repair. 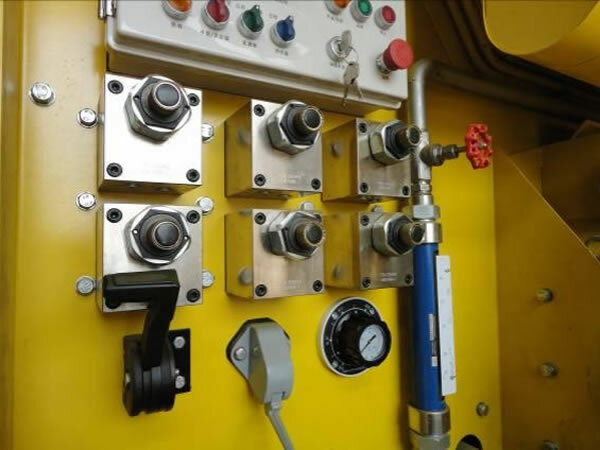 Rear operator console is equipped for operation. 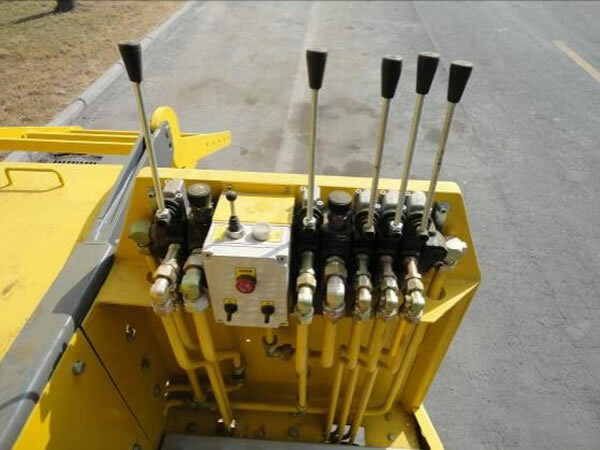 The wear resistant blades of the mixing device is welded by hard alloy particles. The emulsion pump can supply the emulsion precisely with the help of velocity sensor. The pump casing is able to heat the jacket to meet the requirement about severe work environment. At the same time, the pump is capable of self-priming for convenience during construction. 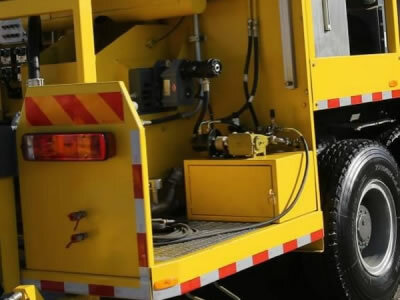 High pressure cleaning device and the water replenishing device for paving are equipped for convenience of normal cleaning, maintenance and special construction technology. 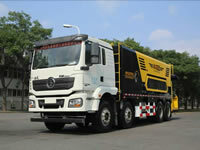 The paving system adopts automatic telescopic spreader box to meet requirements about pavement construction. 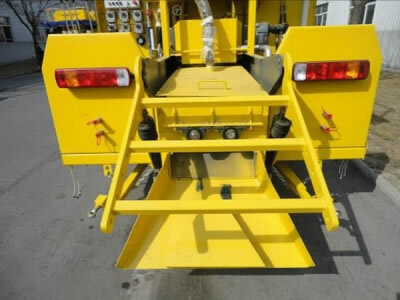 Besides, the camber angle can be adjusted depending on the construction requirements. 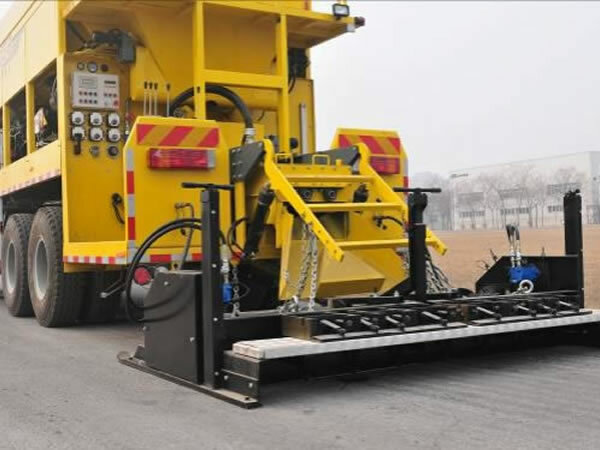 The paving system adopts twin screw propeller for paving and secondary mixing. 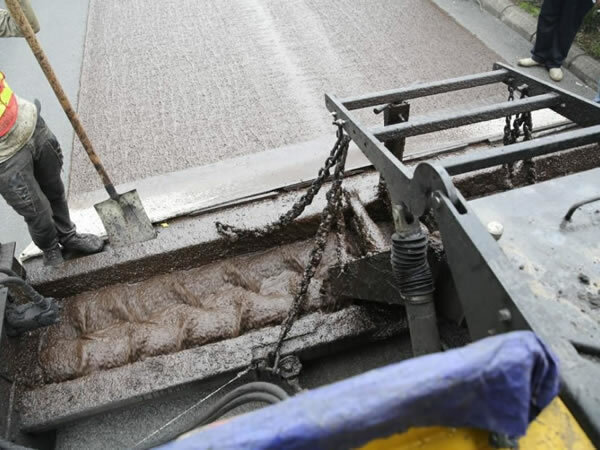 As a result, the segregation of slurry can be prevented effectively.